Home » »Unlabelled » She spent 6 years in an orphanage with no visitors. But turns out she just needed one. She spent 6 years in an orphanage with no visitors. But turns out she just needed one. Julia Wetmore has become known across the U.S. as the “girl without a face.” She was born with a genetic disorder named Treacher Collins Syndrome that causes deformations in the face. But, Juliana has the worst case that has been documented up until now. Four months before Juliana is born, the doctors discover irregularities and cannot say with certainty what is wrong. But nothing could have prepared the doctors or the parents for the sight that Julia presents after her birth. The newborn's little face hardly resembles a normal one. 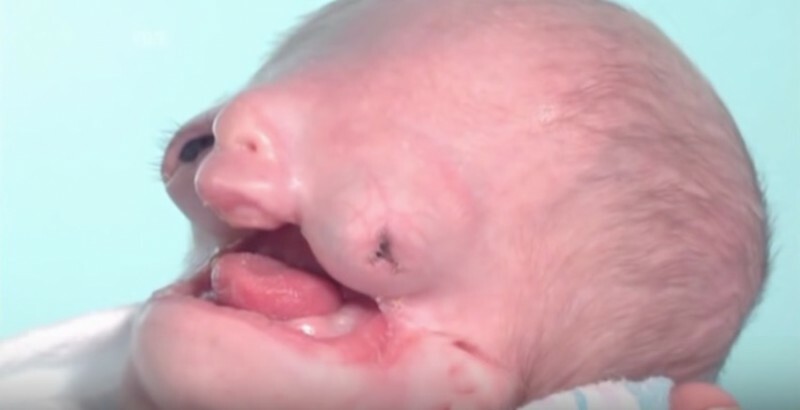 Yet, the little girl’s body is completely healthy; only the face is missing bones, producing deformations and making it difficult for her to breath. The doctors believe that she won’t survive the night. But Juliana is a fighter from the beginning on. Tami and Thom Wetmore are not able to hold their little daughter until 5 days after her birth. The parents are completely indifferent to their daughter’s appearance. They enjoy this intimate moment to the fullest, immediately developing deep feelings for the little girl, despite the deformations. The doctors soon determine that Juliana is missing important bones necessary for hearing and is thus almost deaf. But nevertheless, she can see well in her right eye and most importantly: her brain functions completely normally. Far from the Wetmore family lives a girl named Danica, a little girl who is the same age as Juliana and suffers from the same disorder. The children could have really been the best friends in the world. Danica suffers from a milder case of the syndrome, but her life isn’t any easier, as she has s different hurdle to overcome: Danica has no family to support her, to love her, or to protect her. 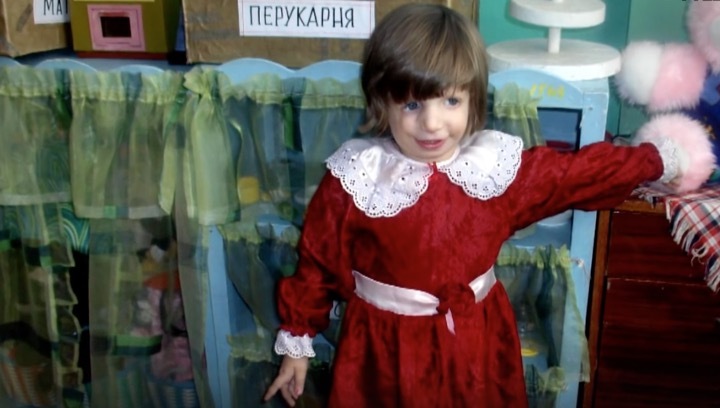 She was given up for adoption after her birth and has living in an orphanage in Ukraine since ever since. The girl never receives visitors. Her life is predetermined: as soon as she’s old enough, the orphanage will no longer be able to care for her, damning her to a life on the streets. But before things can get that far, the Wetmores enter Danica’s life! 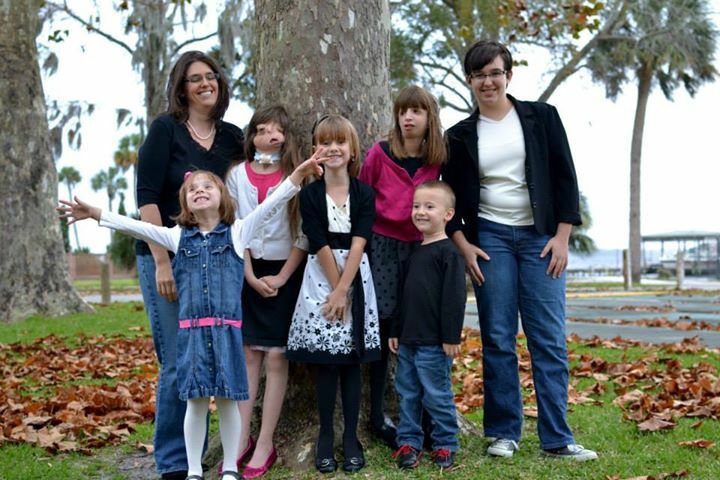 The family reads about the little girl online, who so desperately needs a adoptive parents. They travel to the Ukraine to visit her. After this first and only visit, the two parents look at each other and known immediately how the other feels. “Let’s do it. Let’s get our daughter and fly home.” The Wetmores adopt Danica. The now 12-year-old Juliana, who has the already astounding number of 45 operations behind her, was thus able to grow up with a sister that truly understands her. The family adopted a further 3 children, who, together with Juliana’s older sister, form a gang of 6 beautiful little rascals. In this community, Juliana and Danica are able to grow up sheltered and protected. Juliana amazes everyone with her exceptional intelligence and Danica is a truly remarkable and talented artist. This family received many hard and difficult burdens to carry from life, but has borne them with astounding bravura. With humanity, courage, and strength. When you also admire this family for all that they have done for these children, then share this story with everyone that you know.